“It has been a hell of a ride, and I am grateful to each one of you for being part of the journey, whether directly or indirectly. 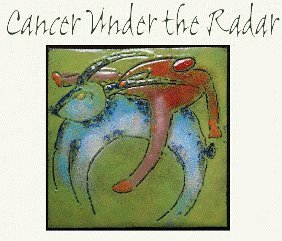 Cancer is a messy, dirty game that plays with your mind as much as it play with your body, and having each of you in my life, whether as an acquaintance, a mentor or a lifelong friend, has helped me through this trying time. I thought about having a party to celebrate this cancer-free marker, and began compiling a dream list of people I’d love to have there. I soon realized the array of communities I feel a part of, and the sheer number of people who have helped me through this. I also realized that many of you may not know what a difference you’ve made. So before I go on, I’d like to say thank you, from the bottom of my heart, for your love and support, and in many cases inspiration from near and far over these past couple of years. Now, about that party……. For the past few years, the young adult cancer group I am part of has been working on a book about the unique experiences of people aged 18-30 living with a cancer diagnosis. It features phenomenal photos, prose, art and poetry by 15 young adults. Rather than throwing a party for me, I would love it if you could see the amazing work my friends and I have produced in a effort to raise awareness about the needs of young adults with cancer. Please look for the book at your nearest bookstore.